The Cuisinart CEK-30 is an electric knife which features a powerful motor and a full-size stainless steel blade to make short work of any slicing task. 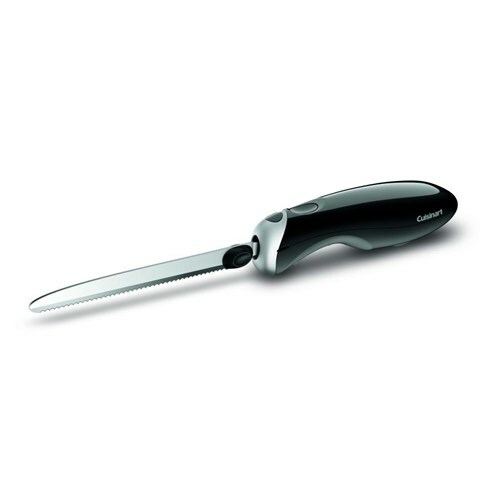 Serrated for superior cutting action and dishwasher safe, the blade slices meats and bread with speed and precision. 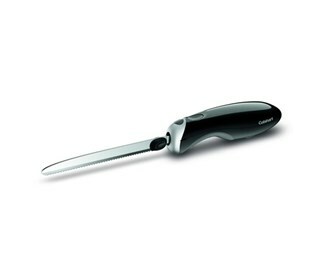 The ergonomic, nonslip handle and one-touch on/off control make this knife especially easy to operate. The 5-foot cord allows to use the knife at the table with ease. The handle makes it comfortable for right and left handers to maneuver with ease. The Cuisinart CEK-30 has many exciting features for users of all types. You can extend the lifetime of your Cuisinart CEK-30 with the purchase of a FactoryOutletStore Factory Protection Plan. See the Cuisinart CEK-30 gallery images above for more product views. The Cuisinart CEK-30 is sold as a Brand New Unopened Item.